Cheetor or kickback for my main team? 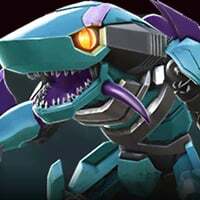 So my main team is primal, soundwave, dinobot, and bludgeon. So that being said who would benefit my team more cheetor or kickback? Cheetor for the beast synergy, and I have an r5 kickback unduped who I think is awesome. Will work better for your main bots. So kickback is what your saying??? No I’m saying you should go cheetor, the beast synergy is a much better synergy than kickback with soundwave and bludgeon. I r5d kickback because my main team consists of r5 kickback, r4 ramjet, motormaster, soundwave, g1 Megatron. My primal and dino aren’t duped or r4 yet. So kickback for me is a better choice. You seem to have changed your mind when you were typing the post? No, I’m responding to the OP, fine let me not elaborate my reasoning and just say it with zero explanation behind it.